How many times do you check your inbox every day? I personally lose count, and although I may spend more time on Facebook, most of that is spent sifting through holiday snaps, fake news and cat videos. Email is a more personal and direct form of interaction, and so it’s not surprising that studies show e-marketing to be almost 40 times more effective than Facebook and Twitter combined in helping businesses acquire new customers. We all know how irritating spam is, yet a lot of businesses still go for quantity over quality. Sending too many newsletters really is a turn-off, and will lead to poor engagement, high unsubscribes and a loss of brand affinity. Likewise, it’s important not to appear spammy or salesy in your communications (these two are pretty closely linked, let’s face it), so try to take a step back and put yourself in your customers’ shoes. Don’t try to force sales down their neck, and always privilege relevance over massive mailing list figures. Achieving good open, click through and conversion rates all comes down to personalising your newsletters and making them relevant to the recipient. This starts with little touches like not using a ‘noreply’ address to send them out. Use a real name and don’t change it frequently, this way customers will associate more with your brand while inboxes won’t start to mark your messages as spam. Elsewhere, we recommend personalising the subject line to include the customer’s first name, if possible, and making sure you include as much relevant info in the copy as possible: Make it clear you are addressing people in Oxford, for example, or slip in that they’ve read the incredible WeGotTickets Blog before and that’s why they are receiving this email. Try to make use of as much info as you have on your subscribers, otherwise they’ll view the content as generic, and you’ll struggle for opens in the future. Be meticulous when crafting your emails, and proof read everything before it goes out. Nothing says ‘unprofessional’ like an embarrassing typo, while all your good work can be undone by providing incorrect info (you don’t want people turning up on the wrong night, do you?). The copy you use throughout is really important too: Make sure it is succinct, clear to follow and contains a clear call to action. What are you hoping customers will do once receiving and opening your message? Many of them will probably be opening this up on a phone on their way back from work, so unnecessary waffle, hard to follow copy or a confused objective will only leave confused, and usually pretty pissed off, customers. This won’t be relevant from the outset, but once you have accumulated a following, it really is valuable to segment your data. Don’t just send blanket emails out when they’ll only be applicable to 50% of your mailing list. Try sending to past bookers based on location or purchase history, or even loyalty – you may want to try to re-engage customers who haven’t bought a ticket for a while, or send a follow up only to people who opened your last newsletter. In the long run, sending more targeted messages helps drive up engagement, improves the quality of your data and the perception of you as a brand. Once you start to build a sizeable mailing list, it’s also important to regularly clean it. For example, look to remove addresses who haven’t engaged in a while or contact them directly and encourage them to unsubscribe if they are no longer interested in what you do. Mailchimp, for example, allows you to target only those subscribers who have not opened any of your recent emails, which can be really useful in reducing recipients and increasing open and click through rates. What’s the point of having thousands of people on your list if they’re totally unresponsive? Don’t be afraid to trim your mailing list down. Hopefully these tips will help you make the most of your e-marketing – and remember, we here at WeGotTickets run a series of national, regional, and more tightly focused mailshots that we may be able to add your events to. If you’re interested you can sign up to sell tickets – or register an enquiry – here. 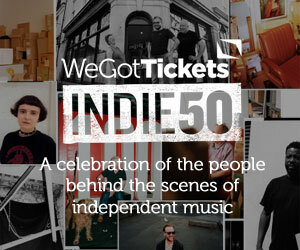 Existing clients can email marketing@wegottickets to make e-marketing enquiries.